Calling all newborn medical professionals! 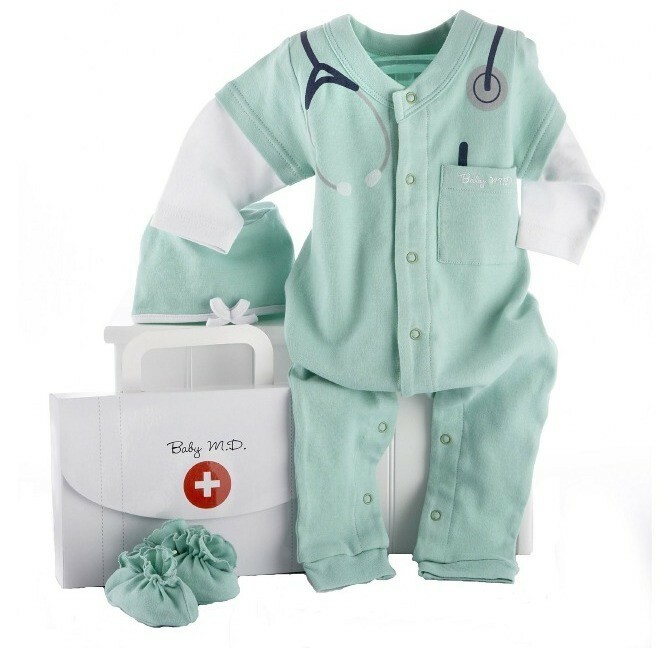 Baby Aspen introduces Baby MD, a whimsically cozy doctor's outfit for your own aspiring MD! 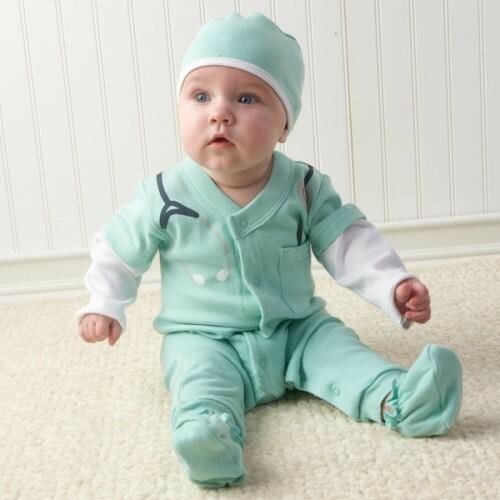 This 100% cotton layette set comes complete with a toasty-warm surgical cap and "hospital booties"; a soft, green sleeper that sports a stethoscope graphic casually slung around the neck, and an embroidered pocket with pen to write those teeny-tiny prescriptions; and a gift box. Comes in size 0-6 months. 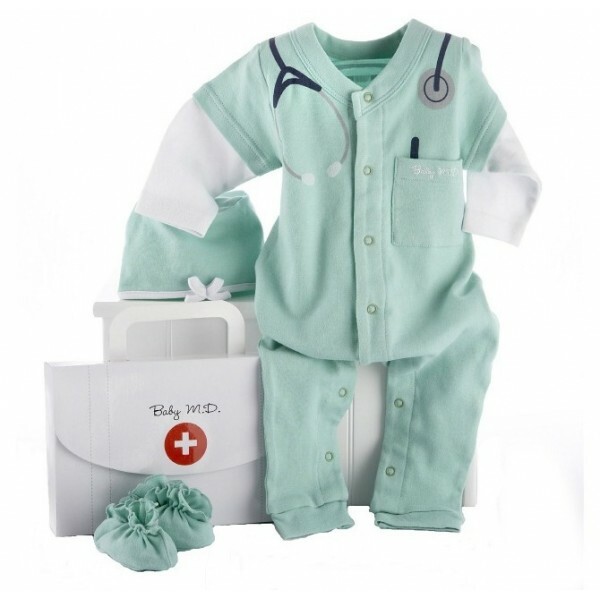 To view the other career-themed layette sets, visit the Baby Aspen Dream Big Collection.